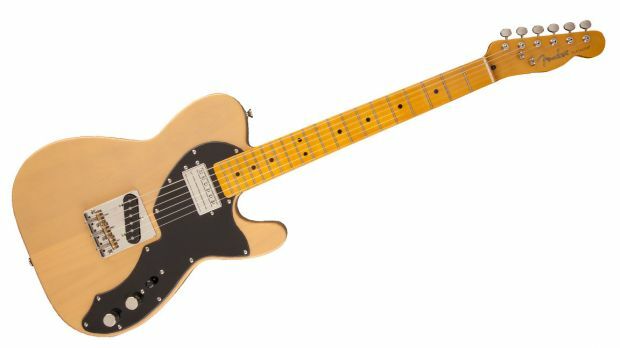 ShortScale :: View topic - New Short Scale Telecasters? Posted: Mon Sep 29, 2014 4:18 am Post subject: New Short Scale Telecasters? Wow I've never seen these... Tell me more!!! this thread isn't even off the front page yet. Are these even real Fenders or some 3rd-party custom line? They're not on Fender's website, nor on any mainstream retailer. If they are legit, why the silence from Fender? PLEASE IMMEDIATELY PROVE ME WRONG. Not sure where you're based but the mainstream retailers in the UK stock them. Maybe they're Europe only so not on the main Fender.com website or major US retailers? Fender are kind of weird with some of their instruments, for example I've never even seen a Squier Jaguar in the flesh and I've been to several European countries since 2012 when they came out. Although they seem available in the UK (haven't been there). And it took almost two years for a Squier Mustang to appear in a local store... and Thomann has run out of the Squier Jags for now it seems. So I guess they are careful not to make too many and loose money. Normally anywhere outside of the US and Japan it's weird about finding Fenders .. And when you do they want too much for them anyway .. I would of thought Mexico would of been good for buying Fenders ( hello, ENSENADA) but while in Guadalajara it was tough to find anything decent in the stores there . Italy was bad too in my opinion . I can't speak for anywhere else . i used to play with a guy that had some standing gigs at resorts in mexico. he told me local guitarists were always willing to buy his used Fenders and always offered at or above US MSRP (or MAMP or whatever) because it was so hard for them to FIND what they wanted in Mexico, and when they did, the prices were nearly double US retail. Here in Taiwan, I've seen one Squier JM and zero Squier Jags or Stangs. The JM was priced at about $520 (tax included). They do have Classic Players and US made, but both are outrageously overpriced. That's interesting, because of seen several Squier Jazzamsters locally in a shop, even the ones with reverb handles. I guess maybe they consider them more mainstream because they have necks like strats. The fact is, when you talk about Italy, Fender and local musical instruments shops, the issue is not only "Fender are kind of weird with some of their instruments" but also "Italian MI shops are kind of weird with some of the instruments they sell": You can find all sort of mainstream guitar here in Italy, this means all sort of Gibson Les paul and SG, Fender Stat and Tele but, however much you may try, you won't find a Gibson Flying V, Explorer or Firebird or a Fender Jaguar, Jazzmaster and Mustang. That's because it's easier to sell "mainstream" models than 2� category models or because there are too many small MI shops that can afford to sell minor brand as Cort, Ibanez (well, not really a minor brand but it's very common here in Italy), Vintage, and several entry-level starter packs; besides, italian guitarists have a sort of idolatry for Strat, LP and Tele and the other models look odd. Lately, some (stupid, personally) italian and foreign indie bands that use 2� category models as Jaguar, Jazzmaster etc. have become a source of inspiration for several young musicians, so the 2� category models are appreciated much more now. You could apply this argument also to Epiphone and Squier. However, this is my point of view and there are some exceptions. Very true. Tell ya what though. If you have a nice old Eko or Crucianelli I'd trade you for a Jaguar, Flying V, etc.